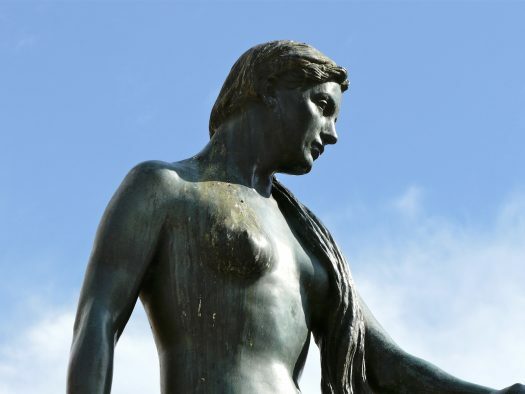 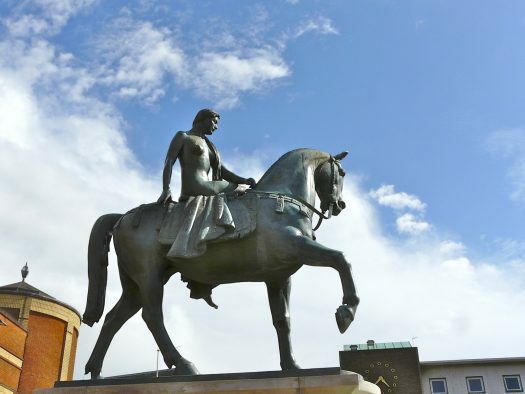 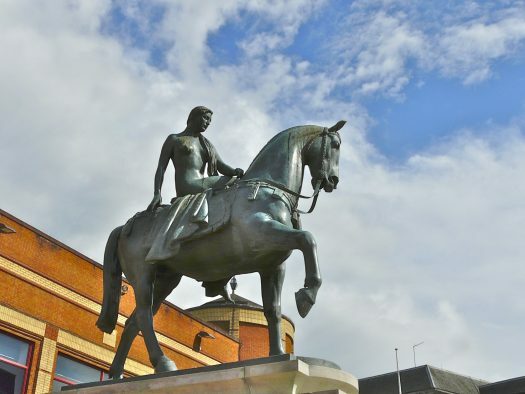 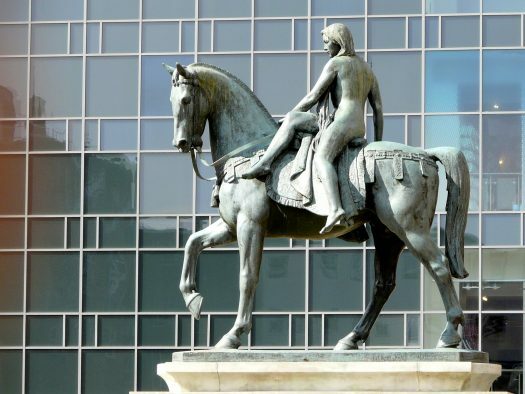 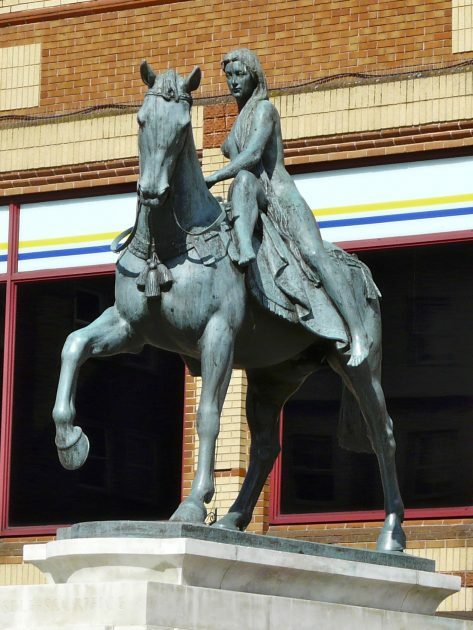 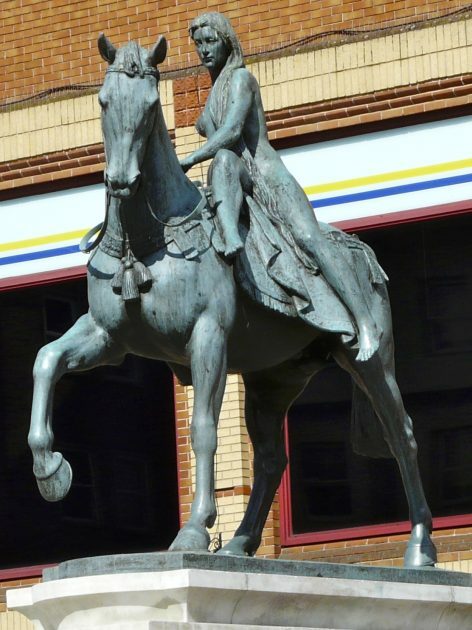 According to the popular story Lady Godiva took pity on the people of Coventry, who were suffering grievously under her husband’s oppressive taxation. 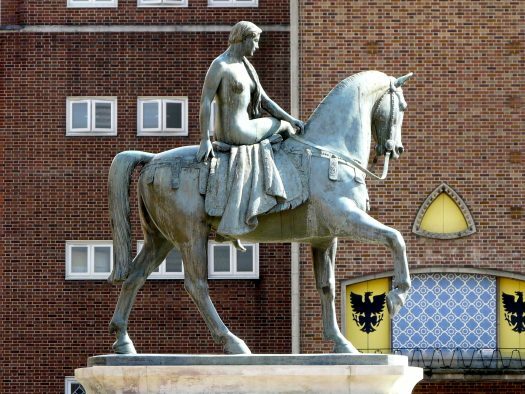 Lady Godiva appealed again and again to her husband, who obstinately refused to remit the tolls. 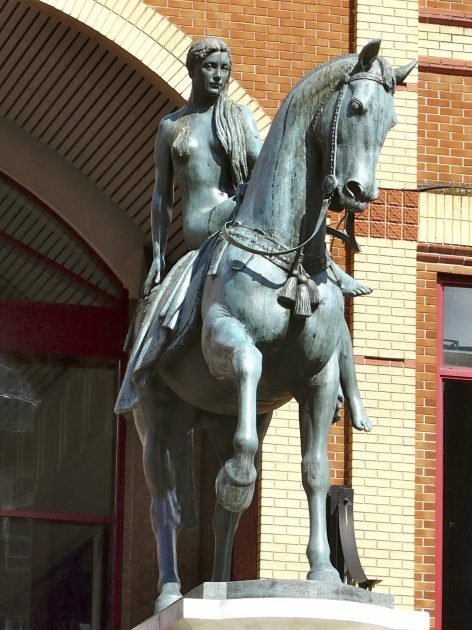 At last, weary of her entreaties, he said he would grant her request if she would strip naked and ride through the streets of the town. 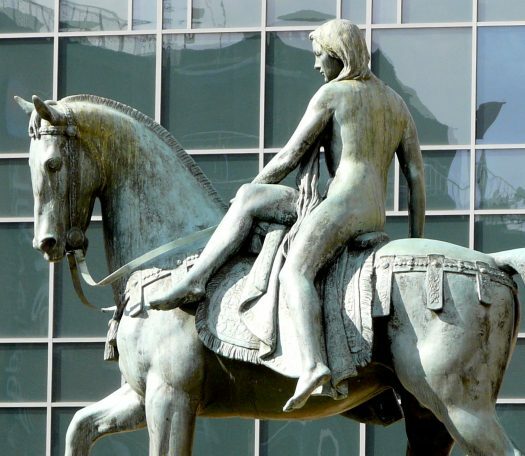 Lady Godiva took him at his word and, after issuing a proclamation that all persons should stay indoors and shut their windows, she rode through the town, clothed only in her long hair. 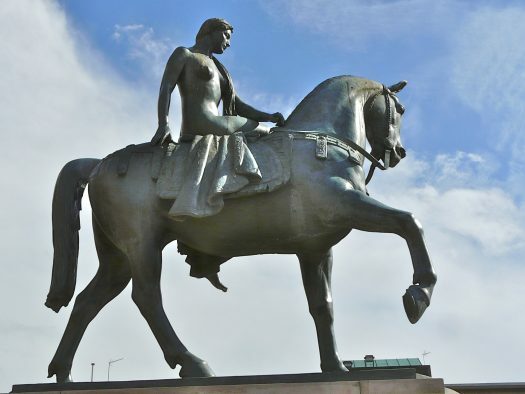 Godiva’s husband keeps his word and abolishes the onerous taxes. 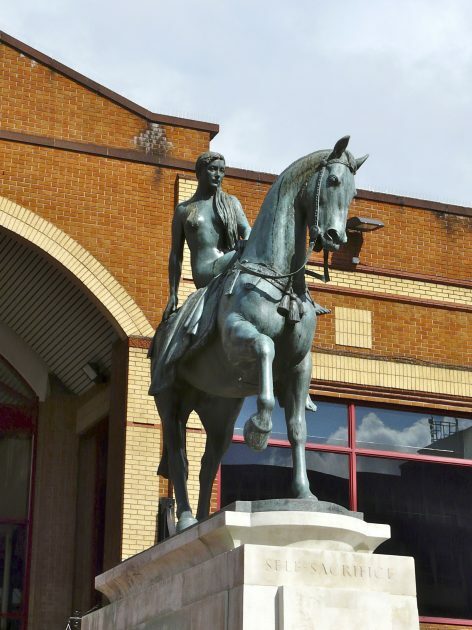 “Then she rode back clothed on with chastity she took the tax away and built herself an everlasting name” (Tennyson).